Since 1988, Dr. Winfred Phillips has been employed by the University of Florida as a professor of mechanical and biomedical engineering and since 2015 as an executive chief of staff. 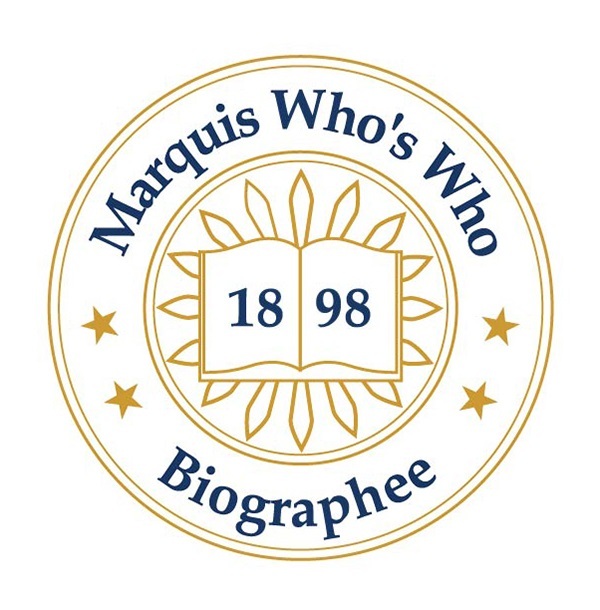 GAINESVILLE, FL, October 09, 2018 — Marquis Who's Who, the world's premier publisher of biographical profiles, is proud to present Winfred Phillips with the Albert Nelson Marquis Lifetime Achievement Award. An accomplished listee, Dr. Phillips celebrates many years' experience in his professional network, and has been noted for achievements, leadership qualities, and the credentials and successes he has accrued in his field. As in all Marquis Who's Who biographical volumes, individuals profiled are selected on the basis of current reference value. Factors such as position, noteworthy accomplishments, visibility, and prominence in a field are all taken into account during the selection process. Since 1988, Dr. Phillips has been employed by the University of Florida as a professor of mechanical and biomedical engineering and since 2015 as an executive chief of staff. In addition to these roles, he was also the senior advisor to the president from 2014 to 2015, senior vice president and chief operating officer from 2011 to 2014, director and vice president for research from 1999 to 2011, associate vice president in the engineering and industrial experiment station from 1990 to 1999, and the dean of the university's college of engineering from 1988 to 1999. Leading up to his work at the University of Florida, Dr. Phillips was the head of School of Mechanical Engineering at Purdue University in West Lafayette, IN from 1980 to 1988. Prior to this, he was working at Pennsylvania State University from 1968 to 1980 as an assistant professor, associate professor, then professor in the department of aerospace engineering and from 1979 to 1980 as an associate dean of research in the College of Engineering. At the University of Virginia, Dr. Phillips was a National Science Foundation trainee and teaching and research assistant in the Department of Aerospace Engineering from 1963 to 1967 and a research scientist in the Department of Aerospace Engineering from 1967 to 1968. From 1961 to 1963, he was a mechanical engineer at the United States Naval Weapons Laboratory in Dahlgren, VA. Since 1998, Dr. Phillips had served on the advisory board of AvMed North Florida. He was a chairman of the board of the Oak Ridge Associated Universities from 2009 to 2010, a member of the United States President's Committee on the National Medal of Science from 2003 to 2007, a member of the science advisory committee at the Electric Power Research Institute from 1994 to 1998, a chairman of the Southeastern Coalition for Minorities in Engineering in 2001, and a member of the executive committee with the Accreditation Board of Engineering and Technology from 1991 to 1995. Additionally, Dr. Phillips was on the academic advisory council for the Industrial Research Institute from 1990 to 1993, on the scientific advisory board at the Nimbus Corporation from 1987 to 1990, a visiting professor at the University of Paris from 1976 to 1977, and a member of the Hong Kong University of Science and Technology from 1990 to 1993. He also completed international reviews on behalf of the Accreditation Board of Engineering and Technology for universities in Saudi Arabia, Egypt, Korea, Mexico, and France; and was a consultant to Russia, the Netherlands, Kuwait and China on engineering education. Dr. Phillips' academic pursuits began at Virginia Polytechnic Institute where he earned a Bachelor of Science in Mechanical Engineering in 1963. He continued his studies at the University of Virginia where he earned a Master in Aerospace Engineering in 1966. Ultimately, he earned a Doctor of Science from the same academic institution in 1968. As an active member of the community, Dr. Phillips' civic duties have been extensive. He has been on the board of directors of the Gainesville Area Chamber of Commerce since 1992 and was on the board of directors at the University of Florida Foundation from 1989 to 1991. He was also on the board of directors for the Central Pennsylvania Heart Association from 1974 to 1980 and the Wells Fargo Bank in Gainesville, FL from 1998 to 2012, and he was on the Indiana Boiler and Pressure Vessel Code Board from 1982-1988. From 1985 to 1999, Dr. Phillips was the section editor for the American Society for Artificial Internal Organs Journal. He has contributed over 175 articles to professional journals over the years, and completed research on artificial heart pumps, reentry aerodynamics, blood rheology, modeling blood flow and fluid dynamics of artificial hearts. Dr. Phillips also completed research in the use of smooth blood contacting surface, prosthetic valve fluid dynamics and laser Doppler studies of unsteady biofluid dynamics. Dr. Phillips has held membership in numerous organizations throughout his career. He has been involved with the American Association of Engineering Societies as chairman from 2002 to 2003, vice chairman from 2001 to 2002; American Society for Engineering Education as president from 1996 to 1997 and chair of Engineering Deans Council from 1993 to 1995. He was also the vice chairman of the Engineering Deans Council from 1991 to 1993 and chairman of the Awards Policy Committee from 1992 to 1993. Additionally, Dr. Phillips was president of the American Society of Mechanical Engineers from 1998 to 1999, the American Institute for Medical and Biological Engineering from 1996 to 1997, the Accreditation Board for Engineering and Technology from 1996 to 1997, and the American Society for Artificial Internal Organs from 1988 to 1989. He is a founding fellow of the American Institute for Medical and Biological Engineering from 1992, and is an honorary member of both the Golden Key International Honor Society and Epsilon Lambda Chi. Moreover, he is a fellow of the Accreditation Board for Engineering and Technology, the American Association for the Advancement of Science, the American Astronautical Society, the American Institute for Aeronautics and Astronautics, the American Society for Engineering Education, the American Society of Mechanical Engineers, the Biomedical Engineering Society, the New York Academy of Sciences, and the Royal Society for Arts (England). Dr. Phillips also holds membership in the American Physical Society, the Association of University Technology Managers, the Cosmos Club, the European Academy of Sciences, the Florida Blue Key, the Florida Engineering Society, the International Society of Biorheology, the Licensing Executives Society, the Society of Automotive Engineers, and the Society of Research Administrators International. Furthermore, he is a member of Rotary, Sigma Xi, Phi Kappa Phi, Phi Tau Sigma, Sigma Gamma Tau and Tau Beta Pi. Dr. Phillips was a member the Washington Accord, the National Association of State Universities and Land-Grant Colleges, the Southeastern Consortium for Minorities in Engineering, and the University Programs in Computer-Aided Engineering, Design and Manufacturing. Dr. Phillips has been awarded on multiple occasions for his accomplishments. He won the Dow Award as an Outstanding Young Faculty Member in 1971, the Distinguished Hoosier Award from the State of Indiana in 1987, the Governor's Award from the Council of the Sagamores of the Wabash in 1988, the Research Career Development Award from the U.S. Public Health Service from 1975-1980, and the Centennial Medal from the American Society for Engineering Education in 1993. He also was awarded the Dr. J. Wayne Reitz CEO Leadership Award from the Gainesville Council for Economic Outreach in 1995 and was named Volunteer of the Year by the Florida Economic Development Council, District 3 in 1998. Furthermore, Dr. Phillips has been recognized with the Engineering Achievement Award from the University of Virginia Engineering Foundation in 1999, the National Engineering Award from the American Association of Engineering Societies in 1999, the Linton E. Grinter Distinguished Service Award from ABET in 2000, the Dedicated Service Award from ASME in 2001 and the Benjamin Garver Lamme Award from ASEE in 2003. Other awards include the Global Messenger Award from SECME Inc. in 2003 and the Florida Trend's CEO's to Watch List in 2005. The ASME awarded Dr. Phillips with the Ralph Coals Roe Medal in 2005. In 2014, he won “The Guy Who Made It All Happen” Award from the University of Florida Technology Showcase and the Legacy Award from the Gainesville Area Chamber of Commerce. Most recently, Dr. Phillips was awarded the Chairman's Award by the Gainesville Area Chamber of Commerce in 2016 and the Gold Standard Award from the University of Florida Alumni Association in the same year. In recognition of outstanding contributions to his profession and the Marquis Who's Who community, Winfred Phillips has been featured on the Albert Nelson Marquis Lifetime Achievement website. Please visit www.ltachievers.com for more information about this honor.